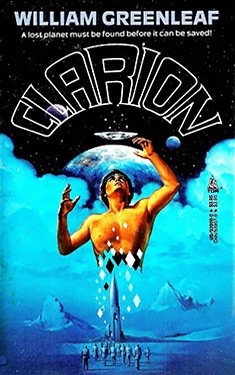 Clarion a planet hidden from the rest of humanity, a lost colony. For 200 years it has survived, alone and unaided. Suddenly mysterious men are willing to kill for its coordinates and the people of Clarion are dying to find one man. Dorland Avery is a psi-player, a master storyteller without words. Suddenly he is targeted for assassination and no one can figure out why. On Clarion a fanatical cult religion is tightening its stranglehold on the colonists. Lord Tem, the mystical deity of this powerful cult, may be a "gent"... a living member of an intelligent species... the first ever contacted by space-faring humanity. The First Speaker of Lord Tem possesses powers remarkably like those of Avery- and Dorland Avery may be the only man who can save the lost colony---Clarion.